The million dollar views and waterfront capture you as soon as you walk in the front door of this year-round home, located in a park-like setting. 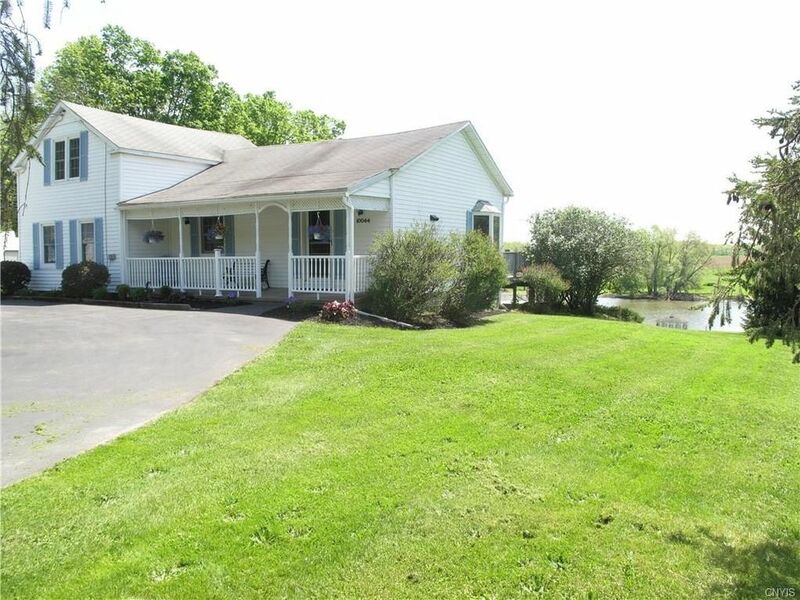 With 200 feet of waterfront close to Cross Lake, this is a boaters dream; it's ideal for any size water craft. You can watch the parade of boats travel the NYS Canal System from your screened in Gazebo, multiple decks, or just about any room in the house. This home has been meticulously maintained; features and upgrades include central air, remodeled bath and kitchen, replacement windows, newer fire place, and recently painted interior/exterior; as a bonus you do not have to worry about flood insurance. The central location is ideal; just 15-25 minutes from Syracuse, Baldwinsville, Auburn or Skaneateles. Directions: From Baldwinsville - Route 370 to Jordan Road - property located West of Fire lane #1. From Syracuse - 690W to 31W to River Road to Jordan Rd.